Mitchell Welch is currently working as a lecturer at the University of New England after completing his postgraduate research and undergraduate studies in computer science. Before completing his postgraduate studies, Mitchell worked as a software engineer, focusing on the development and customisation of cloud-hosted, SaaS, systems and the integration of these information systems for customer relationship management. 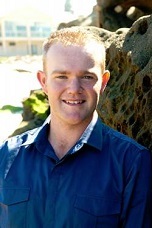 Mitchell has worked on several research projects, including the application of artificial intelligence techniques to fingerprint recognition systems and the modules for a national scale model for emerging livestock disease threats to Australia. Mitchells' current research interests involve the development of the technologies to construct large-scale, agent-based, simulations of complex systems with a focus on agricultural applications for decision support. This research has included the application of parallel processing technologies (including NVidia CUDA), data compression techniques and the integration of Geographical Information systems to produce highly detailed agent-base simulations for invasive species. M.C. Welch, P.W. Kwan, A.S.M. Sajeev, Applying GIS and high performance agent-based simulation for managing an Old World Screwworm fly invasion of Australia, Acta Tropica, Volume 138, Supplement, October 2014, Pages S82-S93, ISSN 0001-706X, http://dx.doi.org/10.1016/j.actatropica.2014.03.021 . Kwan, Paul W., Mitchell C. Welch, and Jacob J. Foley. "A Knowledge-Based Decision Support System for Adaptive Fingerprint Identification that uses Relevance Feedback." Knowledge-Based Systems (2014). M.C. Welch, P.W. Kwan, A.S.M. Sajeev, G. Garner, Improving the Efficiency of Large-Scale Agent-Based Models using Compression Technique, Multidisciplinary Computational Intelligence Techniques: Applications in Business, Engineering and Medicine. 2012, ISBN13: 9781466618305. IGI Global. M.C. Welch, P.W. Kwan, A.S.M. Sajeev,A High Performance, Agent-Based Simulation of the Screwworm Fly Lifecycle and Dispersal using a Graphics Processing Unit (GPU) Platform. In Proceedings of: 20th International Congress on Modeling and Simulation (MODSIM) 2013 Adelaide, Australia. M.C. Welch, P.W. Kwan, A.S.M Sajeev, OOn the Engineering Challenges of Applying Relevance feedback to Fingerprint Identifications. In Proceedings of: International Conference of Computational Intelligence and Software Engineering 2010 Wuhan, China. IEEE. Happold, J., Garner, G., Miron, D., Sajeev, A. S. M., Kwan, P., & Welch, M. (2010). Towards a national livestock disease model. In: F. F. Australian Dept. of Agriculture (Ed. ).